We consider two more corporal works of mercy: healing the sick and visiting the imprisoned. Jesus is our model in both; he shows us the importance of drawing near to those who feel alone and abandoned. How much good is done, and how much we're enriched ourselves, by these acts of charity! Visiting the imprisoned brings the Lord’s healing presence to people paying for their mistakes; they need to hear of God’s merciful love and forgiveness, and so recognize their worth and dignity. Jesus, though innocent, suffered in prison for us, and Peter and Paul used the time of their imprisonment to pray and proclaim the Gospel. Through these works of mercy, may we bring God’s mercy and its redemptive power to those in need. Creighton: "Gladness and refreshment": Today’s feast draws us to praise God for the gift of faith. The Church lives today as in the past. Faith in Christ is central to all believers; our faith can be founded on nothing else. “The waters of the river gladden the city of God.” The city of God is the Church; the river is the Holy Spirit. The Spirit brings joy amid life’s challenges, keeps the proclamation of Jesus fresh, and opens us to encounter with the Lord. The Spirit flows in each baptized believer. Holy Spirit, stir our hearts to receive joy and refreshment through a deeper encounter with the Risen Lord. 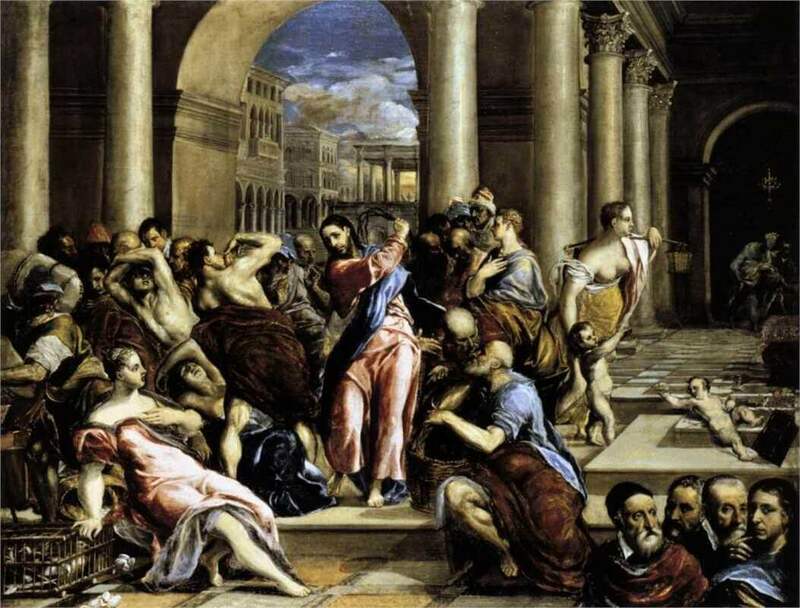 Passionist: "Lift up your gates that the King of Glory may come in": Today's gospel shows Jesus cleansing the temple space. He says the temple is more than stone; it's his body, and when destroyed he'll raise it up. Those around him don't accept his word, but believers know the temple is the crucified and risen body of Jesus. St. John Lateran is Pope Francis’ cathedral, and ours. May we believe the word and find our way through the church to the mystery of Christ, victorious and risen.